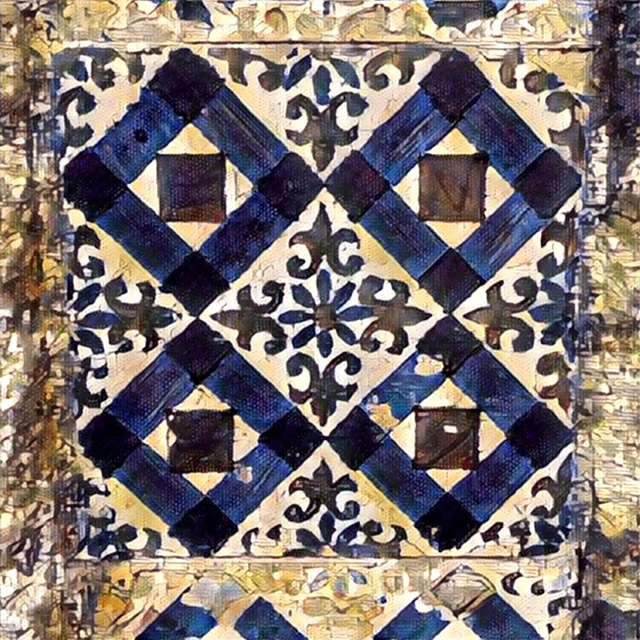 We find many values from the Douro alongside their pricier cousins and popular Portos. 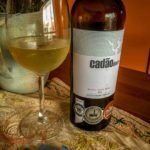 From the Cima Corgo region of the Douro comes the Cadão white, which makes for a fine everyday white, alongside its vinho tinto brother. The Cima Corgo is the largest subregion of the Douro DOC, and it’s where you’ll find most of the famous quintas. 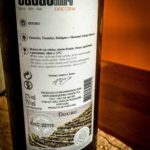 The blend features the standard white grapes of the DOC: Gouveio, Rabigato, Viosinho, and Moscatel Galego Branco, and it shows 12% abv. The soil under the vineyards used in this blend features pre-Cambrian schist and quite a bit of granite, which shows in the wine’s sprightliness (even a bit of spritz). We found lots of lemon in both the nose and palate, but softened by a scent of elderflowers, and the richness of meringue to taste. We made a big bowl of sorrel-enhanced hummus to enjoy with this lively wine. 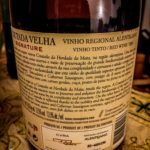 Vintage & Producer: 2016 Mateus & Sequeira Vinhos S.A. 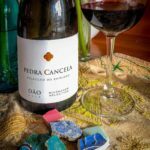 Many rich reds hail from the Alentejo region, and they feature a variety of grapes–both familiar vitis vinifera castes associated with Bordeaux, Burgundy, and the Rhône, but also a wide range of grapes cultivated in Portugal over the centuries. 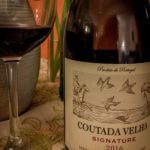 The red blend Coutada Velha, produced by Monte da Ravasqueira, blends Portuguese favorites Aragonez and Trincadeira with Cabernet Sauvignon, from the Coutada de Herdade da Mata. 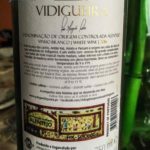 When a wine from this region blends non-DOC grapes with others, it takes on the VR designation “Alentejano” as opposed to DOC Alentejo. With scents of lilacs on the nose, and warm, plummy fruits on the palate, this is a great wine for barbecue and other grilled meats. In fact, an undercurrent of the burnt ends from Kansas City-style pork ribs runs through the wine. It has good structure for drinking now, or in a year or two, but keep it young. The Dão region of Portugal lies just south (mostly) of the Douro, and it tends to be overshadowed internationally by its more famous neighbor. 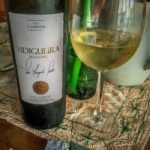 However, we’ve found marvelous wines here, with oft-similar grapes that express themselves a bit differently than in the Douro, given the varying terrain throughout the areas around the town of Viseu. 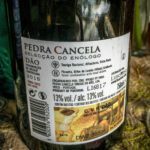 This particular red, the 2015 Pedra Cancela Selecção do Enólogo, is a great case in point. Its grapes (Touriga Nacional, Alfrocheiro, and Tinta-Roriz–which is Tempranillo in Spain) present a stylish version of themselves, at 13% abv. The wine has a deep violet color and intensity, with blackberry and a bit of eucalyptus on the nose. Tart dark berries and black currants form the palate, with medium tannins for a bit of a future here. We had ours with a beef stew and smashed potatoes. You may hear folks talk about the Alentejo region as one where white wines struggle to shine. 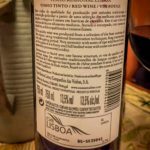 While in a broad sense this is true, we’ve also enjoyed some real choice bottles from around the central (and typically hottest) part of Portugal. Case in point: the branco from Vidigueira‘s “Signature” series, produced by winemaker Luis Leão. The combination of Antão Vaz, Perrum, and Arinto grapes grown primarily in schist soils lends a brightness to the wine. Coming in with a moderate 12.5% abv, the solid white lends itself to a variety of meals. Rather than the flabby tropical fruits often found in hotter-climate whites, the pineapple and custard apple tones taste fresh and clean. The wine’s generous and mouth-filling, and went very well with our tarte pissaládière sprinkled with arugula. Last summer, we made a visit to Casa Santos Lima, and had a marvelous tour of their modern facility, nestled near the top of a sloping hill in the Alenquer DOC within the Lisboa viticultural region. We tasted many wines that day, but their portfolio ranges from low cost wines to sell within Portugal, to a healthy export list that mostly goes to the US (for now). 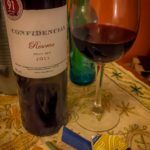 We missed the Confidencial Reserva, a tinto blend of up to 10 “confidential” grape varieties from the region, but we were excited to find a 2013 version on sale for roughly half price at a local grocery store. When I say excited, there’s good reason: This wine has scored extremely high marks from the international wine press for its value. We tended to agree, and snapped up more of the black cherry-nosed and tobacco-leafed wine. Its broad tannins structure it well right now for drinking with pork in a rich sauce, with a bit of spice. At the price, Confidencial can be a go-to, everynight kind of wine.